Para Estudiantes▼ ► ¿Qué es Progresa? ► ¿Cómo Solicitar una Beca? ► ¿Cómo Solicitar una Beca? Dolores was only 16 years old when she applied to PROGRESA asking for help in attending high school. She comes from an extremely poor agricultural family and lives in a one room wooden house with dirt floors which has no electricity or running water. She is the sixth of ten children. Several of the older children are now married and live apart but six of the brothers and sisters live at home with their two parents. Her family has a small lot where they grow corn and beans for family consumption. They do not sell any of their crop and the father works as a day laborer in order to provide a small amount of cash. The mother also works making and selling “petates” a type of inexpensive rush floor covering. The family would probably not be getting enough to eat except for the fact that one of her older brothers has a job as a teacher and brings an income to the household. This brother is also continuing his own studies at the university. Delores is a very good student. As a high school student her writing skills were better than most of our University level students. She is now attending a branch of the University of San Carlos in Cobán on the weekends, traversing a particularly bad section of road to do it. She is studying linguistics (Applied Social Linguistics in Education). Her home, Chicaman, Quiché, includes speakers of Kiché, Poqomchi', and Q'eqchí, all of which she can speak and write. During the week she has a part time job teaching Poqomchi', her native language, in the local school. Although most in her community can speak it, few can read or write the language. This work is a reflection of her ardent desire to encourage indigenous Mayan culture and traditions. 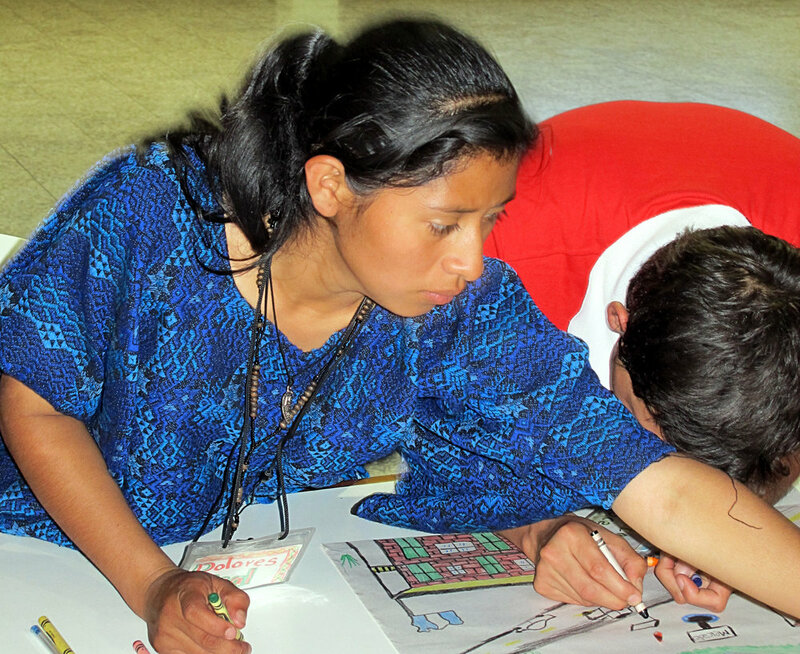 An avid fútbol player, she also volunteers with girls' sports in her community. She is dedicated to improving women's rights and their position in the community and culture. Although quiet and soft spoken, she is clearly an independent woman and a force to be reckoned with. 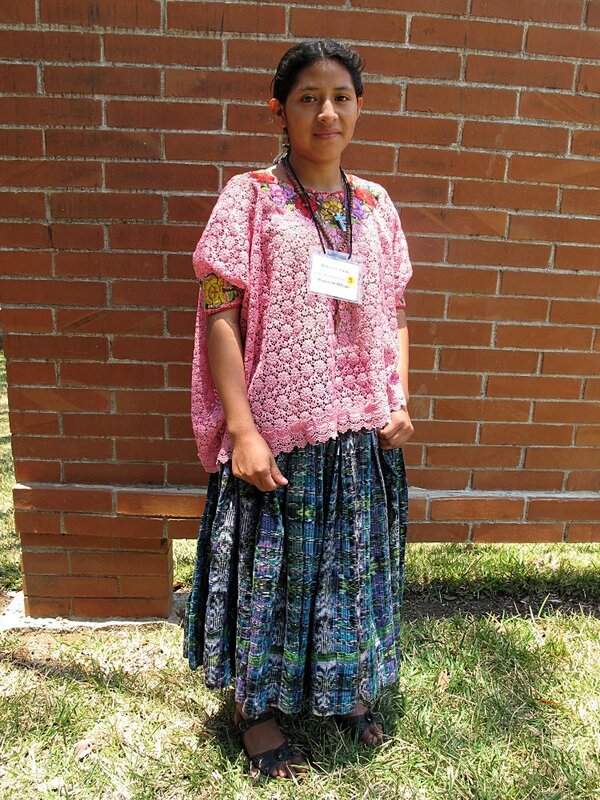 In late 2016, Dolores, also known as Lola, was chosen as the Princess 'Heart of the Community' or Ixkik Uk'ux Tinamit of the Municipalidad de Chicaman, Quiché, during their annual festival. Separate from the beauty contest, this contest involves written and spoken presentations. She will now compete with other indigenous young women in other communities for a national indigenous "queen" award, which is a grand opportunity for her. It will not only provide her with connections with others like her in various parts of the country, but may come with some very helpful financial awards as well.